Community group Dalston Arts is bringing the local creative community together again in December for a very special Winter Weekend. The group’s final event of 2018, which marks the area’s 150-year association with the arts, will give the public open access to a number of local galleries and studios on 1-2 December. The weekend will also feature a seasonal craft fair, as well as the launch of a news arts and crafts club. Well-known studios such as the Print Club will join forces with Dalston newcomers like Hempsted May Gallery for one big celebration. Co-organiser Hedy Parry-Davies said: “The Winter Weekend is all about promoting Dalston’s amazing art scene. 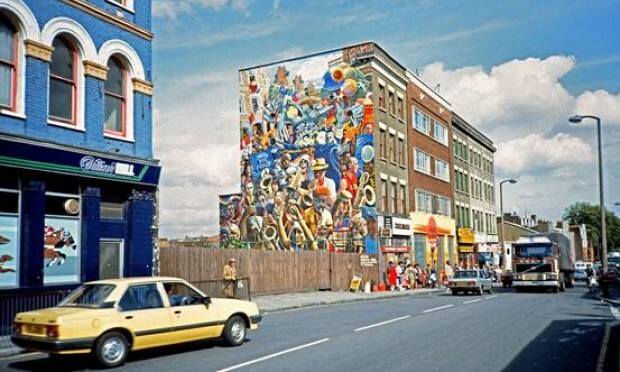 “As residents of Dalston for over 30 years, we have seen a lot change but it’s important to us to share with everyone how rich and diverse the arts culture still is today, especially to newer residents. Dalston Arts was created at the beginning of the year to celebrate the special 150th anniversary, but the group plans to continue promoting local artists, and Dalston as a hub for all things creative.